A wonderful set for the best man. If your man is really the best, then do not forget to tell him about it. And the inscription on the balloon will help to make sure that words will not dissolve in the air, but always will be in sight. 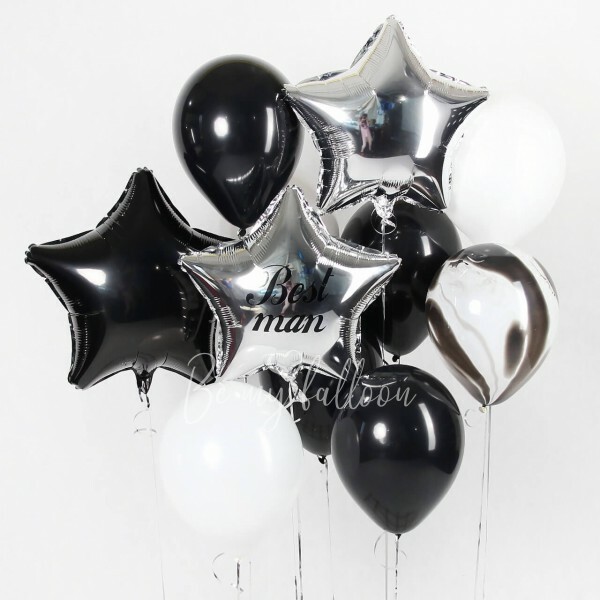 In addition to this personalised balloon, there are also plain and marble balloons of classical colors - black, white and silver. And this is exactly what a real man needs. The set includes: - 3 foil stars 20" - 1 inscription - 1 marble balloon 11" - 5 latex balloons 11"